The words we use and the stories we tell in our games and books and movies are important because they not only reveal how we see our world, but they also show how our world could be. In the pantheon of the greatest “classic” video games of all time, males are abundantly overrepresented as the playable leading protagonist. I grew up in the golden era of video games, in the ’80s and ’90s, when video games were heavily marketed toward boys. Now that I have a young daughter, I want to be able to share my love of the classics with her but without perpetuating the myth that only men can be heroes. So I decided to hack one of my favorite game series of all time, The Legend of Zelda, by removing explicit references to the player’s assumed male gender from all of the in-game text. In Nintendo’s Zelda series, players take on the role of Link, a silent and voiceless avatar which players can rename at the start of the game, and embark on a grand adventure to save Princess Zelda and the land of Hyrule from the clutches of evil. There are a lot of elements at work within the Zelda series of video games and I can’t quite pinpoint exactly why I was drawn to them when I was younger and why I keep coming back to them decades later. Perhaps it’s because they can seem so epic yet so simple at the same time. Or maybe it’s just that whenever you’re going through life’s hardships and trying to navigate the turbulence of the real world, getting lost in an interactive fantasy world imbued with the orderly logic of a Japanese garden and role playing as a pre-destined hero on an archetypal Joseph Campbell journey is intoxicating, powerful, and deeply satisfying medicine. Zelda is considered by many to be one of the greatest video game series of all time. It was Nintendo’s first game to break one million in sales. It was the first home console video game with “game save” functionality that enabled the player to save their progress, a concept that has now become practically standard but at the time seemed to imply that the large scope of the game was just too immense for a single sitting. Mix in some outstanding music, superb graphics, a mythological setting, and perfectly balanced gameplay mechanics that shift seamlessly between puzzle solving and arcade-style combat, and suddenly here’s a game that makes a statement and demands that console games be taken seriously. The unique and alluring gold cartridge was just icing on the cake. There is a strong argument to be made that Nintendo intended for Link to be an avatar to be played and experienced from a first-person point of view rather than a defined character. First and foremost is the “name registration” system that has been a notable part of the series since the original game. Some of the games default the player’s name to Link, and players can choose to simply play as Link, but inputting your own name (or an 8-letter abbreviation) opens up a more personal experience, whether it’s just seeing your name next to Link’s sprite in the original game’s startup screen or when the characters in later games directly address you by your name. Nintendo has been able to continue this Zelda tradition into the modern era by foregoing voice acting altogether in favor of the traditional text-based dialogue which also adds to the magical storybook feel of the game. I also find it interesting that Miyamoto cited Peter Pan—a famously gender-complicated character who doesn’t want to grow up to be a man and who is historically played by women on Broadway—as a direct influence and inspiration for Link, all the way from the hat and pointy ears down to the sword and green tunic. J. M. Barrie’s 1904 play broke the fourth wall by having audiences clap to revive a fairy; Nintendo’s 1986 game broke the fourth wall by having fairies revive the player. 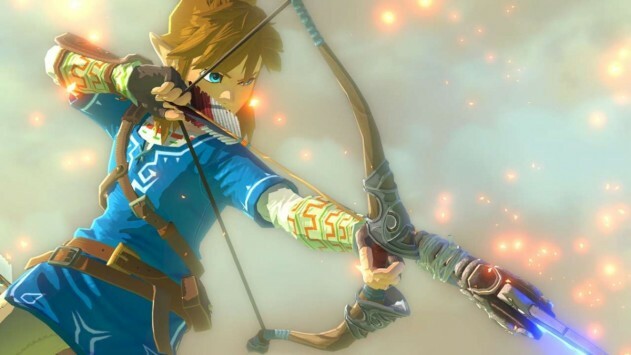 So if a Zelda game player is not male and chooses to play one of these games using their name, and in the spirit of Link being an avatar as described by Miyamoto and Aonuma, then the game contains a grammatical error (or “bug”) when the in-game text refers to the player using male pronouns. From a purely engineering point-of-view, my gender-neutral patches of these Zelda games are nothing more than simple bug fixes. From an accessibility point of view, my gender-neutral patches simply make the games more accessible to a wider audience. Nintendo has never said that Link’s gender is an important trait or that Link must necessarily be male. With these gender-neutral patches, players can form their own opinions about Link’s gender (or not even think about gender at all) when playing as Link. There are many gamers like myself who enjoy playing the Zelda games with Link serving as an avatar that allows us to project ourselves into the game world. The wonderful thing about these gender-neutral patches is that they harm no one and they allow all players to experience the game however they wish to experience it. I’m not seeking to change anybody’s mind who firmly believes that Link is male. Those who would like to play the game and think of Link as being male can play Nintendo’s version or they can play my gender-neutral patched version. The gender-neutral language doesn’t change anything and it doesn’t prevent those players from thinking that Link is male, which is perfectly fine. If my daughter would like to play the game and think of Link as female like herself, she can play this gender-neutral patched version and it won’t call her a boy. If a transgender person would like to play as Link and think of Link as transgender or not having a gender at all, they can play this gender-neutral patched version and it won’t call them a boy. Every work of art has a different impact on different individuals. I have no idea which video games will “speak” to my daughter or if she’ll even become enamored with video games at all. I just wanted to tilt the odds slightly by removing what I saw as an impediment that could possibly prevent her from experiencing my favorite video game of all time in the same deep and immersive way that I was able to experience it. I always felt like I was Link and that I was the hero going on the great adventure to battle evil and save Hyrule and its inhabitants. There wasn’t a single odd pronoun in any of the Zelda games that broke the spell for me, but that’s because I just happened to be a dude and the game’s text assumed I was a dude. The words we use and the stories we tell in our games and books and movies are important because they not only reveal how we see our world, but they also show how our world could be. Too many of our monomyths—ancient, new, and recycled—tell us that only men can be world-saving heroes. In her impressionable years, I hope that my daughter discovers and consumes so many female monomyths that she will never see a ceiling above her. And in her powerful years, I hope that she creates new monomyths of her own. Tony Smith is an engineer, producer and avid gamer who enjoys spending time with his new baby daughter. You can read more about his gender-neutral Zelda project and download his gender-neutral patch files at http://echoparkmacpc.wordpress.com.